Club Nouveau is an R&B-pop band that was formed by record producer/performer Jay King in 1986 in Sacramento, California, subsequent to the breakup of the Timex Social Club. Other members of Club Nouveau included original members Denzil Foster, Thomas McElroy, Samuelle Prater, and Valerie Watson. Additional members include James L. Richard II, Kevin Irving, David Agent, Walter Phillips, and Mario Corbino. The band’s name (French for “New Club”) was changed from its original incarnation, Jet Set, to exploit the breakup of the Timex Social Club. The group was signed by Warner Bros. Records, on which Club Nouveau released its first three albums. 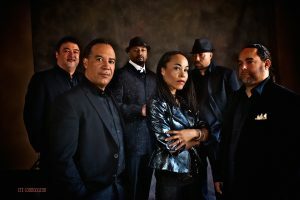 From its debut album, Life, Love, and Pain, which was released in 1986, the group scored four consecutive hits: “Jealousy” (essentially an answer song responding to Timex Social Club’s hit “Rumors”), “Situation #9,” a cover of Bill Withers’s “Lean on Me,” and “Why You Treat Me So Bad.” The latter was interpolated by the Luniz on that group’s hit single “I Got Five on It” and subsequently by Puff Daddy on “Satisfy You.” The latter two both made it to #2 on the Billboard R&B chart the next year, with “Lean on Me” becoming a big Billboard Hot 100 hit. “Jealousy” also made an appearance on the soundtrack of the film Modern Girls. Foster and McElroy soon left to form their own production team and focus on working with other acts. Prater, who had performed the lead vocals on “Lean on Me”, eventually left as well to pursue a solo career. The replacements were David Agent and Kevin Irving. The group’s next albums—beginning with 1988 Listen to the Message—were laced with an evolving social consciousness, though the later albums were not as successful commercially as the group’s debut. Notable recordings include a dancehall-influenced version of the gospel classic “Oh, Happy Day” from the 1992 album A New Beginning, “Let It Go” from the 1995 Everything Is Black album, “You Ain’t No Friend Of Mine” from the 1989 Under A Nouveau Groove album and “What Kind Of Love” from the 1998 Collection Volume I album. 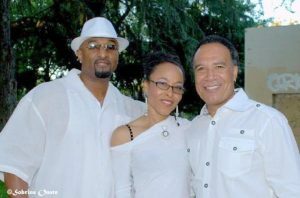 As of 2008, the current Club Nouveau roster consists of Jay King, Valerie Watson English, and Samuelle Prater the original vocalists along with band members Johnny De La Cruz (guitar), Fred White (bass), Juan Blair (keyboards) Anthony (Pierre) Parker (drums) and Angelo Dominguez (keyboards) They have completed the new Club Nouveau album “Consciousness” to be released in the summer of 2015 thru Cleopatra Record, their single “That Ain’t Love” was released in February of 2014 going to #25 on the Billboard Urban A.C Charts.